Tomorrow, I depart for my first big boy vacation since entering the workforce! I'm crossing a line item off my life's to do list: Visiting, exploring, and climbing Mayan ruins in the Yucatan. Not my photo...yet. From Wikimedia Commons. Though not the primary impetus, there's not a doubt in my mind that I'll be seeking out odd dishes and culinary experiences as well as bringing back interesting foods, coffees, and liquors for future enjoyment -- I look forward to sharing this with you, loyal readers. Among the gustatory gifts and savory souvenirs with which I'll inevitably return is a bottle or two of a very special liqueur: Mayan Xtabentun. Here's some fantastic, life-changing news to brighten your morning: Caffeine definitely maybe prevents skin cancer. 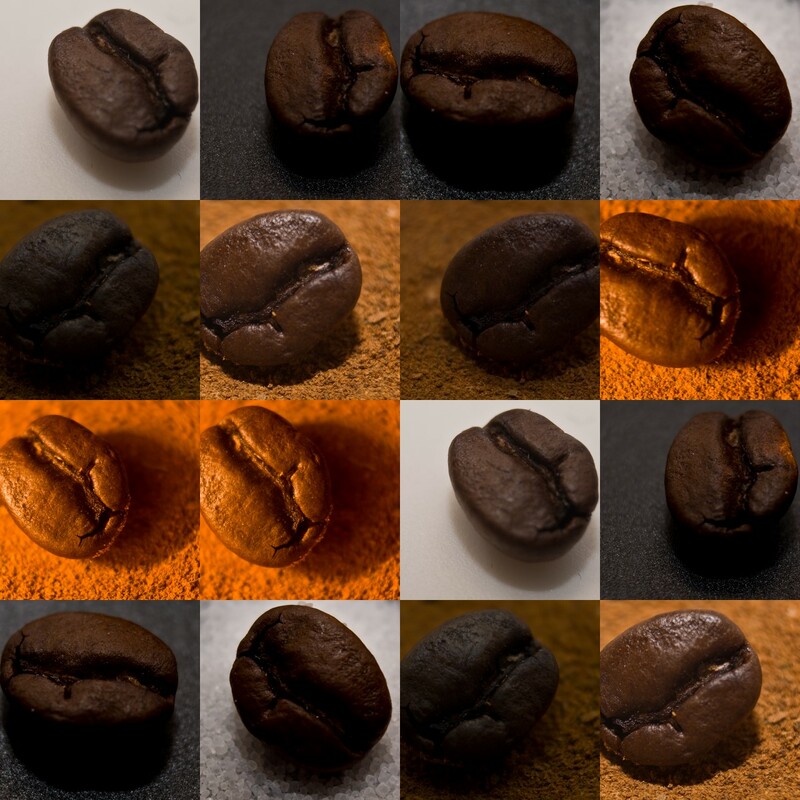 A recent University of Toronto study has built on previous findings, suggesting "that caffeine can help lower one's chances of UV-associated skin cancer by inhibiting a DNA repair pathway, essentially helping cells die after exposure to sunlight." I have no interest in understanding the nuances of this article, or the study on which it's based. Why ask myself questions about correlation versus causation? Why challenge the research methodology or equivocate on its findings? What's my motivation here? Obviously, my motivation is to seek out evidence to continue feeding my coffee problem habit hobby. I'm drinking a cup of coffee right now, and it's really, really, really good. It's black; I've added neither milk nor sugar. It barely tastes like coffee -- it's closer to a very intense black Darjeeling tea. This is coffee a coffee-hater might enjoy. This cup of coffee has nothing of the oily, dirt-like bitterness of a Starbucks coffee. (I say this as a person who will quite contentedly drink Starbucks coffee, though I tend to drown it in milk). Instead, this cup tastes light and floral, almost effervescent. There's even some citrus and lemongrass -- I'm not full of it; there really is so much more complexity here than I generally taste in any coffee except very good espresso. So much so, in fact, that I refrained from my normal splash of 2% milk. I like this cup of coffee. How did this coffee come to be in my cup? Why is this morning unlike most mornings? Well, for starters, I cleaned my coffee maker -- for the first time in the six months I've had it. Like, really cleaned it, by running a vinegar-water mixture through twice then rinsing. I have no idea whether or not cleaning the maker has a net positive impact, but it really can't hurt. Oh, also, I stopped at Peregrine Espresso on 14th St. on the way home last night and purchased some SUPERB Ethiopian coffee. I asked the fellow working the counter for something light and interesting, and this is what he gave me. I should have photographed the beans, I suppose. Oops. Now, I regularly buy decent coffee, but I'm often a little lazy and careless -- I'll keep extra beans in the freezer (a no-no), grind more than I'm using in a given pot (nope), and kinda eyeball measurements (like most of my cooking). But armed with very good, fresh beans and a clean coffee maker, I ground fresh this morning and carefully aimed for one level-ish tablespoon for every 5.5 ounce "cup" delineated on my machine. What a difference these tweaks made. That's right, I've got a Magic Bullet As Seen On TV. The questions remain: Will I change my ways? Will I clean the pot, grind fresh, and always buy in small quantities? Will I make that extra effort in the morning to elevate my coffee from pleasurable to phenomenal? Stand by for a hostile takeover of Hungry Sam by Religion-Major Sam (Who is Also Hungry). I think I will. My morning already possesses its ritual elements. I make the coffee, the omelet, and I prepare lunch, then I sit and watch TV or read or write. I relax into my day, rather than rush to meet it. Ritual imbues routine with a sense of intentionality and of transcendent reality; it can make my coffee into a hierophany (in Eliade's The Sacred and the Profane: the breakthrough of the sacred into the World) -- though that might be the caffeine speaking. Adding the morning coffee grind to my coffee-making procedure has already, in just one instance, improved not only the cup in my hands, but also grown my morning ritual in a new direction. And the best rituals seem to arrive from creative experimentation and combination -- just look at Christmas or Passover. Anyways, it was a REALLY good cup of coffee. Washingtonians, definitely check out Peregrine. Those among you who brew in the morning, give a fresh grind of a new coffee a chance, and try it black. You may find, as I did, that a morning habit can become a morning treat. No, I'm NOT just listing two of my favorite things. With the inspiration of (inevitably) Everyday Food Magazine, I endeavored the other night to create an coffee, chile, brown sugar and cinnamon rub, which I used on a good-sized skirt steak before pan-frying. Mix all the ingredients well (whisk is good, or covering and shaking works too). I brought the skirt steak to about room temperature so they'd cook evenly. I cut it in two, the better to fit in my 13" skillet, and massaged handfuls of the rub deeply into the beef (both sides). I would have used more of the mixture, but even using significantly less chile powder, I was concerned about the heat. Now, I've recently taken to pan-frying steaks, since our grill is currently a no-go and I don't think my George Forman grill gets quite hot enough for the seared exterior, rare interior effect I like my steaks to have. I've yet to spring for a good grill pan or some such, so in-the-pan it is. First, I preheated my oven to 225 degrees. I heated a little butter (enough to coat, but not pool in) the bottom of the pan and brought it to a strong medium-high. The steaks went in, about 2 minutes a side, until well-seared, then I popped the pan into the oven for about 5 minutes to finish cooking to rare. Were my steaks any thinner, I might have skipped this step entirely. When I finished, I pulled the steaks to my cutting board, cover them loosely with tin foil, and let them sit. ALWAYS let meat sit for a few minutes. Why? I don't know. Some people say it's about letting the juices redistribute themselves evenly throughout; others claim it's about letting the meat fibers reabsorb juices. I don't care which one it is, but after I finish cooking a steak I tent it loosely with foil and let it rest for five minutes. Verdict: I'd cooked the steak slightly longer than I intended so it reached more of a medium rare than rare, but the flavor was fantastic. Rich and spicy and hearty, slightly sweet and dark, the steaks tasted like the sensation of being in front of a woodfire on a cold day. Delicious, but also just kind of unexpected; I can't say as I've had beef with these flavors before. I ate the steak with sweet corn (microwaving about 2 minutes is the simplest and easiest way to do it) and strawberries, the light sweetness of both cutting through the earthy complexity of the meat. All around, this rub is a keeper. I might try it mixed into ground beef for burgers -- the surprise intensity would be a fun dish to serve at a barbecue or party. Try it yourself, and tweak the spices -- just use good, rich spices with great depth of flavor. The AM Fix. Also, this cup says something about ninjas. Huh. First off, although I try not to apologize for absences from writing, in this case, I blame it on the stress of looking for/eventually finding/and moving to a new apartment, as well as about four weeks running of heavy weekend commitments, including travel. So, to those of you for whom Happiness Is settling back a couple times a week and reading about food I've chewed on, my heartfelt apologies. Really though, I know there are only MAYBE two people who fit that description (ok, I can really only think of one), sooo I don't feel that bad. Onwards! Coffee Creep: This all-too-often under-diagnosed malady refers to the constant, never-ending uptick of coffee consumption in those who nevertheless wish to limit their intake to some reasonable quantity, like 8 cups a day. Clearly, I suffer from Coffee Creep. I always have the best intentions. I will say, my New Year's resolution, now 4 1/2 months old, to only drink decaf or half caf after noon has held, but the amount of caffeinated coffee I drink BEFORE noon has been on the up. On mornings that I brew at home, I normally enjoy a solid 18 oz. of coffee (which sounds like a lot, until you figure that it's only about two good-sized mugs worth). However, this is up from perhaps 12 oz. two months ago. 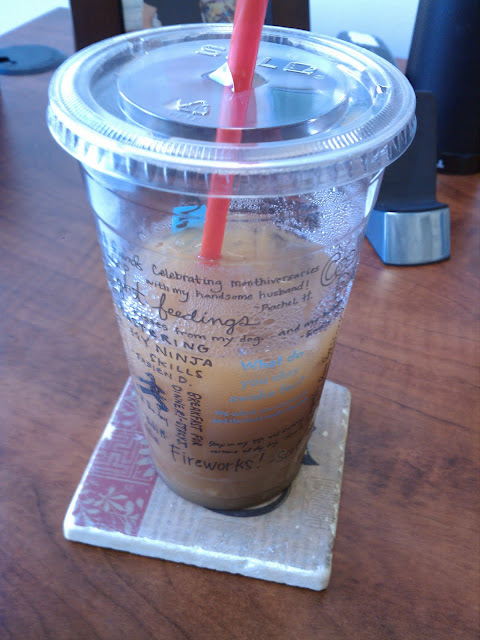 Then, the nice weather has been killing me, because even after brewing at home, of course I want an iced coffee, because Dunkin' Donuts effectively trained me years ago to understand that nice weather=large iced coffee. That's another 12-16 oz. Oy. Oh Dunkin' Donuts. Your effective marketing campaigns/support of the Boston Red Sox have done their respective magics. Now, mornings I don't brew (say, I buy coffee post-gym) are a bit better, and I probably stick to the 22 oz. in a large iced coffee for my full morning consumption. However, after a few days of tracking, I realize that these days correlation strongly with the days that I feel the need to purchase a half-caf after noon, generally between 3 and 4 PM. So given that, I'm still up around 30 oz. of caffeinated coffee. I guess I'm not accounting for ice. Or am I just making excuses? Either way, I'm a solid addict, but I'm under control. I don't think it's affecting my sleep, or at least if it is, I'm not conscious of it. At least I haven't "tripped" on caffeine in a while, or ended up in the hospital like poor Dave (college roommate) during finals. Ok, folks. Back in the saddle. 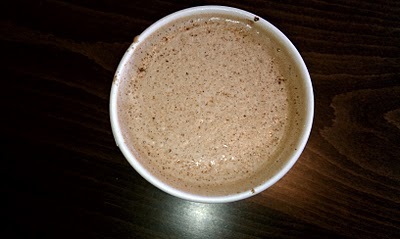 To anyone who enjoys the spicy, intense Mexican hot chocolates or chocolate bars modeled after the pre-Columbian Mesoamerican xocolatl, here's a new one for you: the Aztec Chai at Bourbon Coffee. 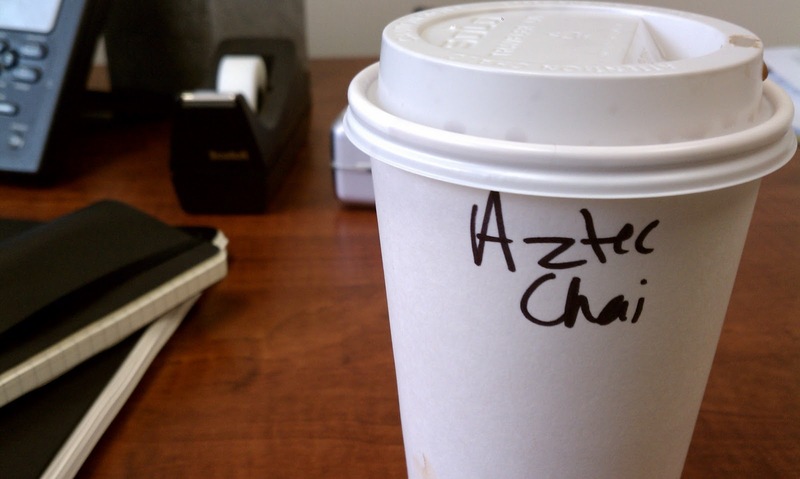 The Aztec Chai, as I read the menu, is a black tea latte (steeped black tea with steamed milk and foam), two shots of espresso, dark chocolate, and cayenne pepper. Woah now. Spicy! Mostly at the finish, but the drink had a solid kick that left my palate a little dry and tingly. Not too sweet. This is my beef with most coffee shop chais/lattes etc. They always end up saccharine sweet, which a) makes me sick and b) makes me feel like it's a kick in the gut, healthy-eating-wise. Only 16 oz? I don't know. I think giving this place an awesome review will be my first legit Yelp review.